If you have one million pesos in cash plus another three thousand pesos monthly excess money to burn, what would you do? 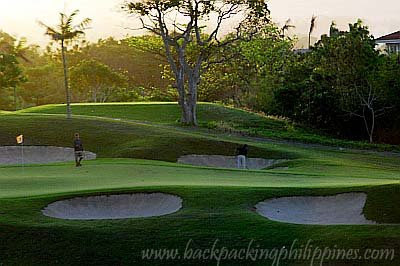 Would you sign up for an exclusive membership at a club like the sprawling Club Punta Fuego in Nasugbu, Batangas? Tutubi got a taste of the luxurious life of the rich for two days, without spending a single peso, courtesy of his company who held 2009 planning conference at the exclusive resort club. This would be mostly pictures and a few comments/feedback as most information can be seen on Club Punta Fuego's official website. 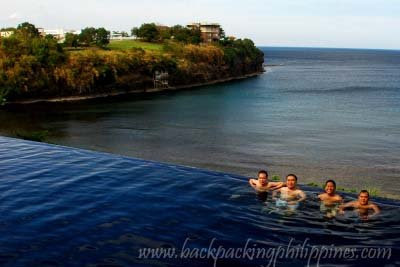 Club Punta Fuego has two infinity pools, one double infinity pool near the club house and another at lower beach. Infinity pools are designed so that there is an illusion of swimming in the vast ocean. Other facilities inside the club are tennis courts, conference rooms, several restaurants and some stretches of white sand beaches but not really good for swimming due to being rocky. 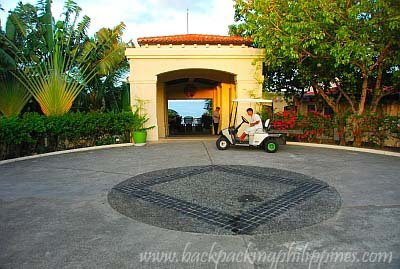 If you're looking for nice white sand beach for swimming and beach bumming, you can go to Terrazas de Punta Fuego resort that share the same beach front as Munting Buhangin Beach resort. 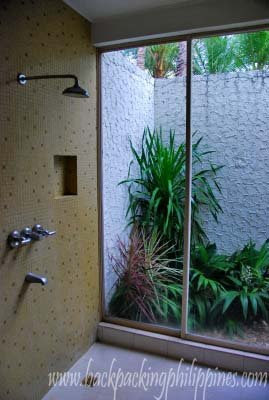 Punta Fuego, being an exclusive enclave, requires endorsement by a member to be able to use the facilities. 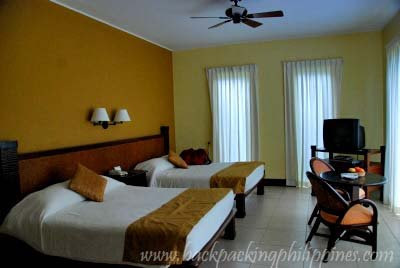 There's no such thing as a cheap Punta Fuego vacation package unless somebody other than yourself paid for it. Tutubi was informed his company spent about P5k for every participant in the session for his one night only stay at the pricey place. Food at the club is pricey, similarly priced like most high-end hotels in Manila though there's nothing really worth raving for. Commuting to Punta Fuego is not easy as there're no public transportation available there. The nearest one can get there is via buses to Nasugbu, Batangas. Driving directions to Punta Fuego: From SLEX, take Sta. Rosa exit all the way to Tagaytay and turn right after Tagaytay Public Market (and Tagaytay Econo Inn). Follow the highway, passing by Alfonso (cavite) and until you reach kilometer marker 93, the so called Likuan, where you turn right (left turn leads to Balayan town). 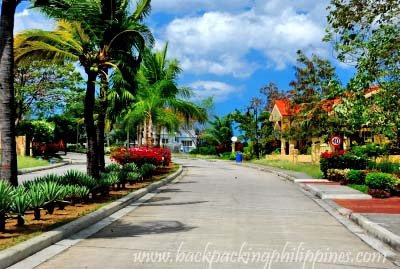 You will pass by Nasugbu town proper, Cawayan Cove, Tali Beach, Munting Buhangin and Terrazas de Punta Fuego, up to about 6 kilometers of winding road, called Ternate-Nasugbu road until you see the sign leading to Club Punta Fuego. You will also see signs going to Hamilo Coast. May I ask your permission for me to add your site to my links in my website. Thanks and more power! 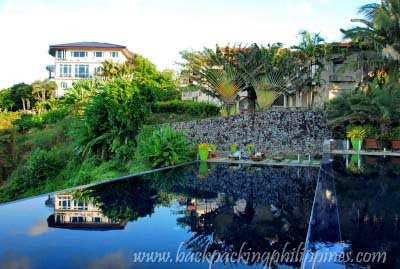 I am from quezon city and i am headed to pico de loro this weekend. Hanggang ngayon po kasi i am clueless anong route ang wise i-take. Yung van from pasay po ba or buses from buendia? And my other concern po ay yung from nasugbu town proper to pico. Pico advised me to take a private van from jollibee straight to the cove kayalang 1k po, one way. I just thought it's pricey, esp may alternative na tricycle. Pero thats the reason why seeking for suggestions. Sana po you can help me out sir. Thank you very much in advance.